Highlights of Lindores Abbey’s existence included the apple and pear orchards (the monks made Perry wine) cultivated by the monks who also fished in the River Tay, possibly from windows at the river side of the abbey. Famous visitors to the abbey included Alexander, Prince of Scotland, who died there in 1284. This eventually resulted in the war with England because of arguments over who should be next Scottish king. 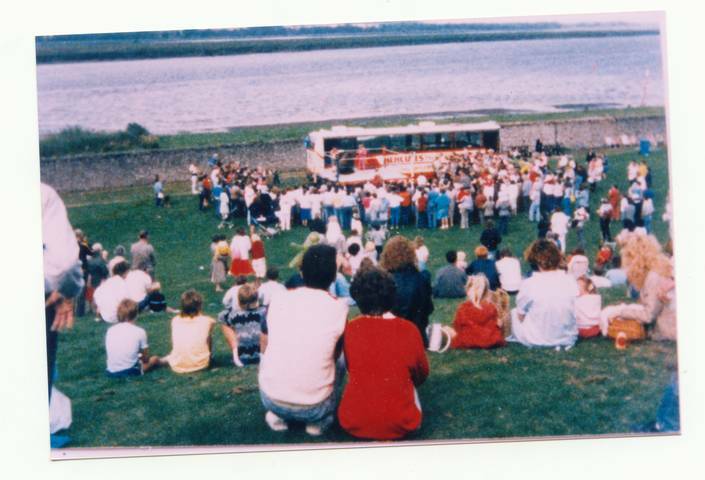 Sir William Wallace visited the abbey after his victory at the battle of Blackearnside (just east of Newburgh) in 1298. Alexander III visited the abbey in 1265 and Edward was there in 1291 and 1296. Possibly the earliest reference to Scotch whisky is also recorded in the abbey’s exchequer rolls. Following a fiery reformation sermon by John Knox in Perth, the abbey was sacked, with distinctive red sandstone from abbey buildings used in other parts of Newburgh in later years. 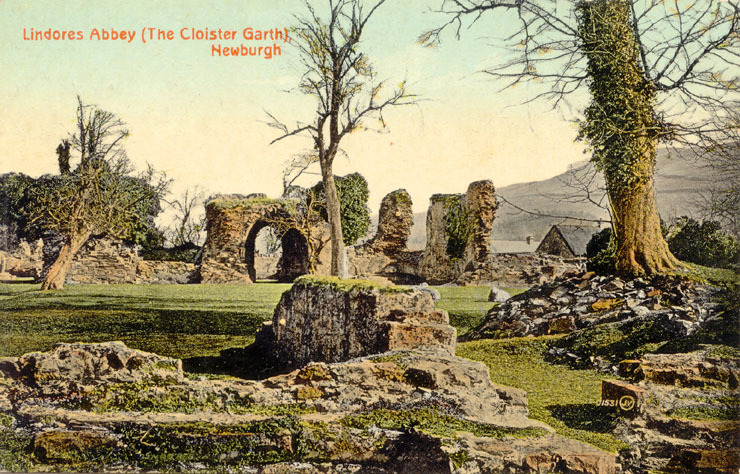 Some of the abbey’s ruined building relics still stand, including an impressive arched gateway. A bear and flagstaff stone believed to be from the abbey, is now found in the wall above the entrance to the Bear Inn in Newburgh High Street. The bear and ragged staff symbolise the Earls of Warwick. 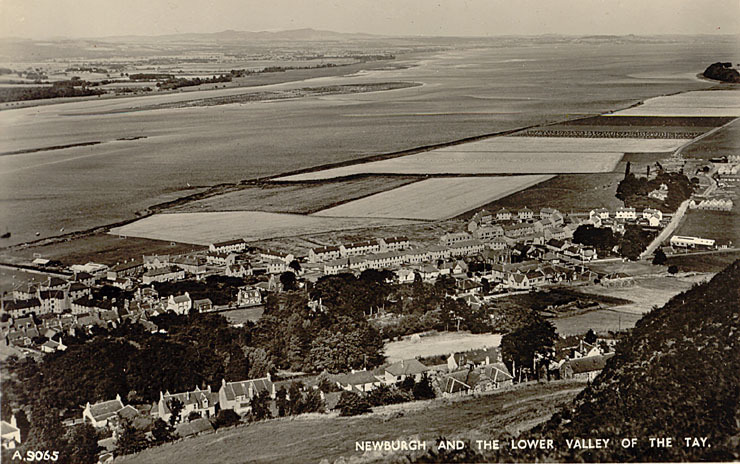 The connection with Newburgh is that the title was offered to King of Scotland, William the Lion, who gave it to his brother, David, who founded Lindores Abbey. A bear and staff is carved in the hillside to the east of Newburgh above Parkhill and its outline is lit up by beacons on festive occasions from time to time. The Georgian town house has a central tower and spire and was built in the High Street in 1808. Denmylne Castle is a short way out of Newburgh towards Cupar. It was home to the Balfours of Denmylne. Two brothers in the family were well known in their time: James (1600–1657), a historian, and Andrew (1630–1694), who founded Edinburgh Botanic Garden. 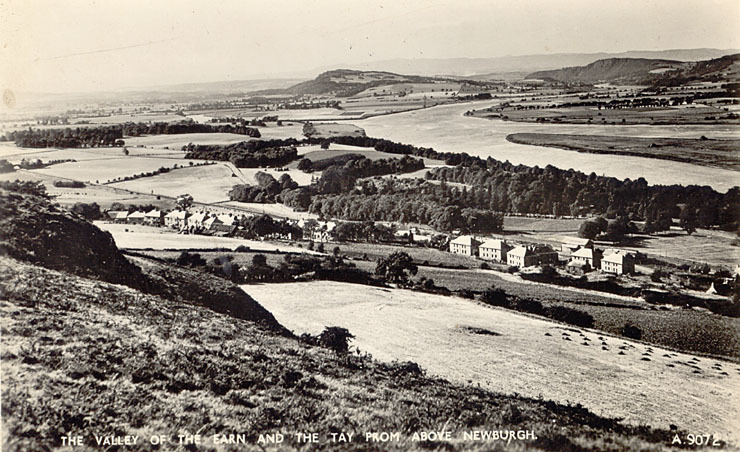 The ruins of Ballenbreich Castle lie to the east of Newburgh beside the River Tay. 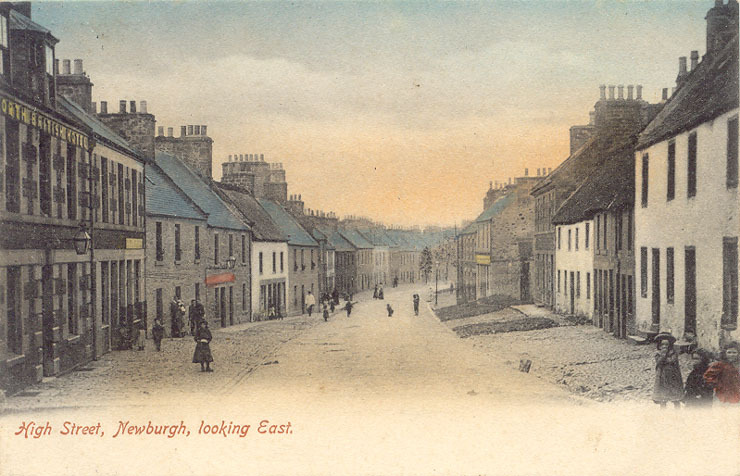 This was home to the Earls of Rothes. Ballenbreich means “town of trout”. In its day, it was four storeys high and an extremely impressive fortress with a moat surrounding it. 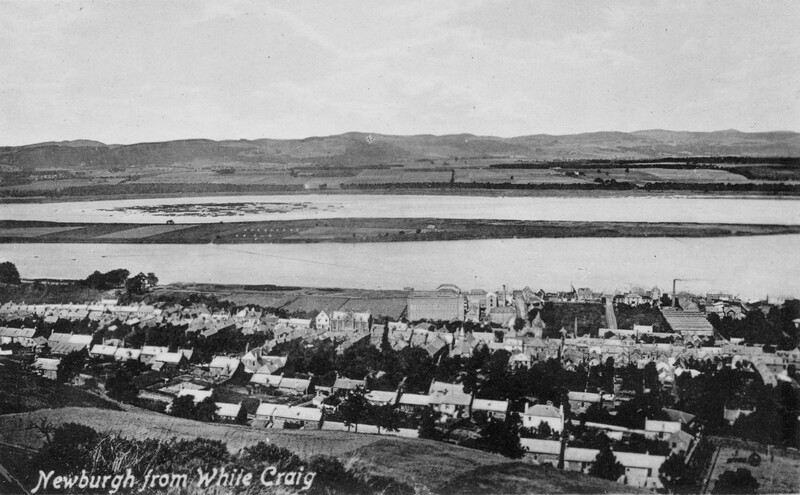 Mugdrum Island lies in the River Tay beside Newburgh. There was a farm on it up to the twentieth century when the buildings were knocked down. 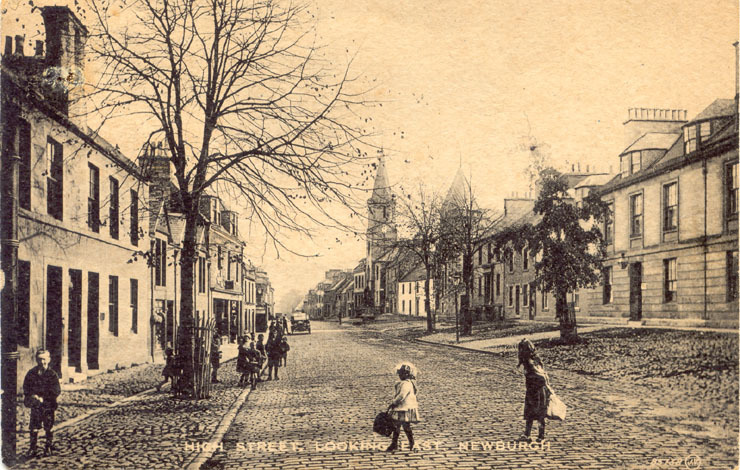 Reeds from Mugdrum Island and the Tay were once used for thatching, and one building in Newburgh High Street still uses this roofing material. A High Street building has a lintel stone above the doorway commemorating the marriage of Thomas Anderson to Janet Williamson in 1759. Thomas was a ship’s captain. The carved ship and anchors on the stone mark Newburgh’s naval past when it was said that Newburgh contributed many good sailors to the British navy. 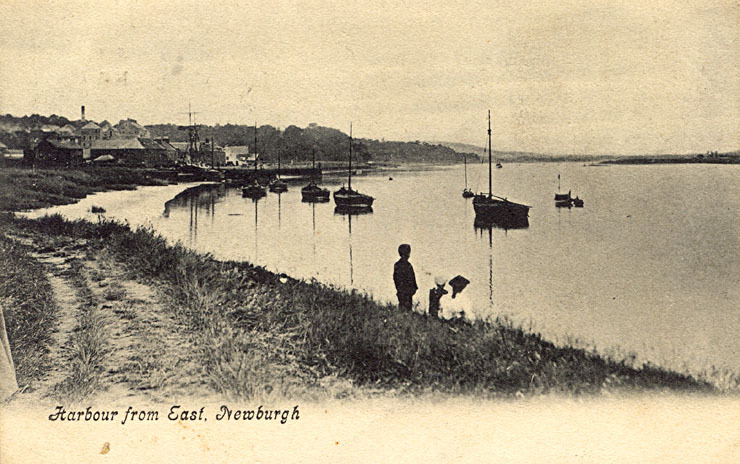 Newburgh was once a busy port, not least as a calling point for pleasure steamers taking people from Dundee jute mills to Newburgh for their holidays in the Victorian and Edwardian eras. 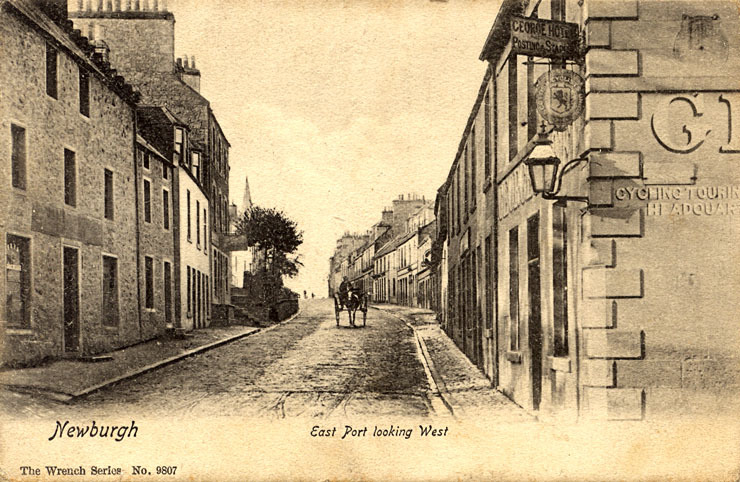 The postcards in this gallery, which show many of the well known sites and views in the area, come from the extensive collcetion of Tom Pearson, to whom the Society is indebited. 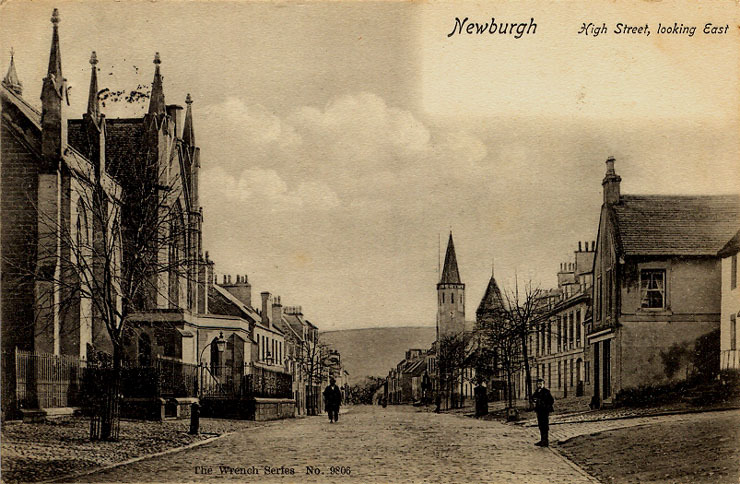 Many thanks also to Lindsay Farmer for an old postcard view of Newburgh.